At 14 months old, my son said “dinosaur”. He picked up his new toy dinosaur, pointed at it and looked up at me and my husband. We told him it was called a dinosaur. Sure enough, he repeated with correct pronunciation “dinosaur”. First try didn’t even skip a beat. This is also coming from a kid that can’t yet pronounce one syllable 3 letter words (like most kids his age), but he busts out a dinosaur on the first try. Good thing I wasn’t wasting time comparing him to other, more talkative kids his age. Okay, I was totally guilty of doing that. Needless to say we were so proud. Our genuine support and encouragement made our new toddler blush with love. No two kids are the same. 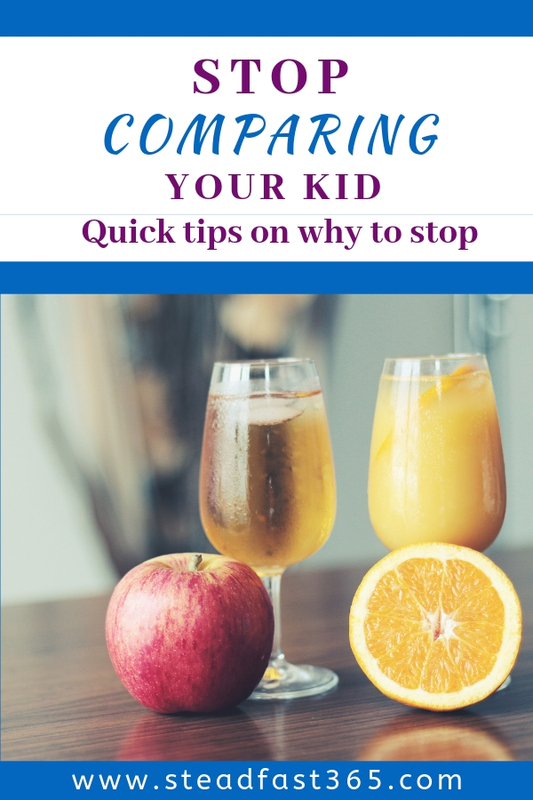 Is it wrong to compare kids? I say yes and no. It depends on the intention. I mean, come on. It’s human nature to compare and contrast. Don’t get me wrong, just pointing out what’s different is one thing. I’m referring to the type of comparison that shows a preference for one thing over the other. That will happen if you meant to or not so you really just shouldn’t do it. Comparison plants a seed even if not intentional because kids are impressionable. You could have two toddlers of the same age. One may be consistently in the 75th percentile and the other consistently in the 30th percentile. Here’s a newsflash….wait for it… bigger does not equal better! Total shocker, I know. Both babies are completely healthy and right where they need to be. You could have a kid that skips the first grade and you could have a kid that needs more time before moving on to the second grade. Who cares?! We know that each child is unique. They will learn, grow and mature at their own pace. We know this in our heart of hearts. We just need to get that mindset on board! This may take some honest self exploration here. The fear here can come from a place of wondering if our kid is okay. In that case speak directly with the Pediatrician and go from there. Fear could also come from a selfish place of parental ego. Forming a direct relationship between our kids’ accomplishments and our success as a parent. Talk about pressure! Sheesh. By avoiding comparison we’re planting a seed of self confidence in them. Kids being okay with exactly who they are is awesome. If they need improvement then offer it in an encouraging space. Here is an article explaining how to create a positive affirmation discussion with your kid every day. You. Get. To. Advocate. For. Your. Child! What if it’s not you, but it’s in your presence? It always amazes me how kids literally hear everything! You think they’re so into playing with toys in the next room while you’re in the kitchen talking to another adult. On the ride home they ask you questions about your conversation. Or they randomly repeat something and you’re like “where did you hear that? !” I know my son’s days are right around the corner. Those eyes and ears busy! They are watching and listening even when we don’t think they are. It is my responsibility to advocate for my child. When I was pregnant my mother told me “you are his advocate”. I have taken that serious since he was in the womb. There’s certain comparisons that I don’t approve of. If it happens in my presence I will be sticking up for him. If he is also there, then I will be correcting the comparison to that person in my son’s presence. The point is that I want my son to see me protecting and supporting him. That’s just something that I will always do. Every comparison is adding water and fertilizer to that seed and creating roots to grow. Then a tree. What kind of fruit do you want your tree to bear? Positive self esteem, trust in parents and confidence are few that come to mind. Again, no two kids are the same! Need another example? Kids can take anywhere from 9 to 17 months to walk. Who cares if it happens at 9 months or 17 months…they did it! Celebrate the uniqueness of the journey and appreciate the win. I’ve graduated from high school and then college with a doctorate degree. I’ve had several jobs. At no point was I ever asked how old I was when I crawled, walked or talked. Nobody cares. You only care because you’re in that moment. Once your kid moves on to the next milestone then that’s the new focus. Sure its great if they do it early and its emotional and rewarding if they finally do it after you’ve been waiting for so long. Those feelings are awesome. Either side has its ups and that’s what you focus on but you don’t compare and say “well she isn’t doing this yet, but he is”. That’s saying that one is better than the other whether you realize it or not. It’s wrong. To that first time mom out there who’s already nervous as all get out, trust me any comparison to her child is not what she needs. Dear Mama, you advocate in their presence no matter how young or old that child is. You cant control what other people do but you can control and work on what you do. I think those thoughts of comparison are always in the back of our minds because we want a reference point of what is normal. I would go by what the Pediatrician says is a normal age range and go from there. We know as adults that we are individuals, but we don’t always give babies and kids that same understanding and they deserve it too. 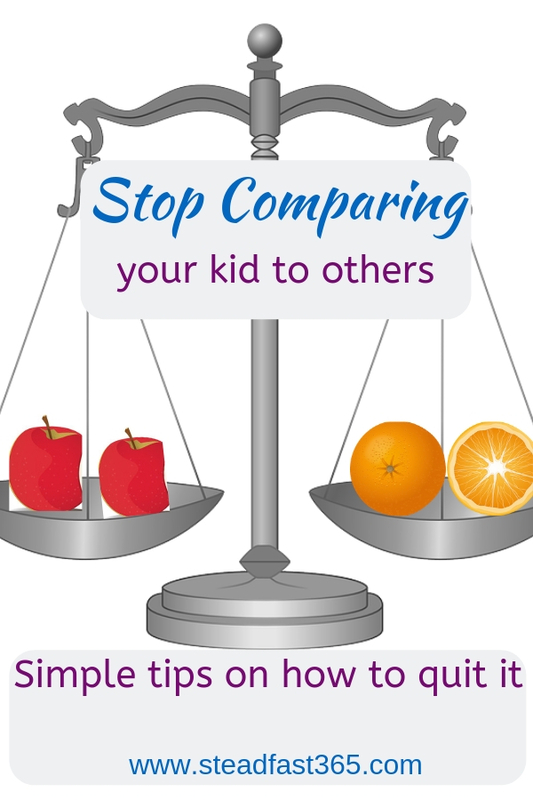 Comparison basically tells a kid how they aren’t good enough.What about telling a kid how good they are? 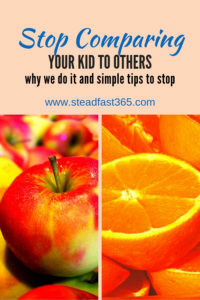 Here’s an article explaining tips on how to effectively use positive affirmations with your kid. Your kid will have “dinosaur” moments. Those moments when you think they may be lacking in a certain area and all of a sudden they blow you away with their unique amazingness. Relish in those moments! Eat them up and make your kid blush with love. Leave a comment and let me know what you think. 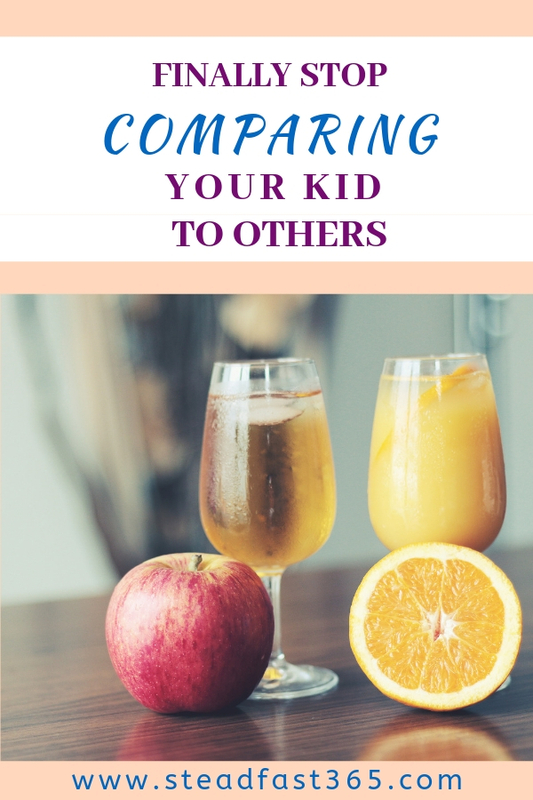 Did you come out of this article with a new perspective on comparison or were you my “amen” corner the whole time? LOL. Don’t forget to subscribe and save this article to your Pinterest board. 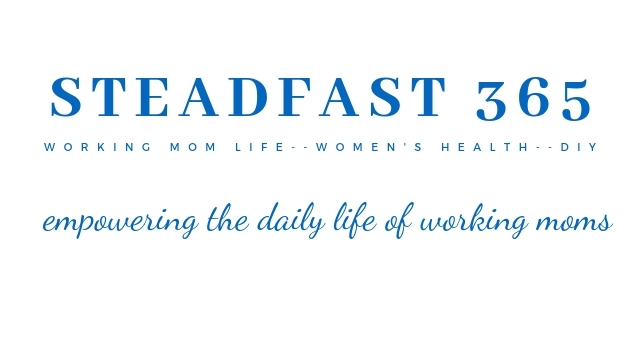 When you subscribe below you get instant access to the exclusive list of free printables with more convenient tips on mom life and women’s health. Totally agree! Was just having this same type of conversation with my S/O. This is important! Hi Jessica. So great you guys are having those conversations!